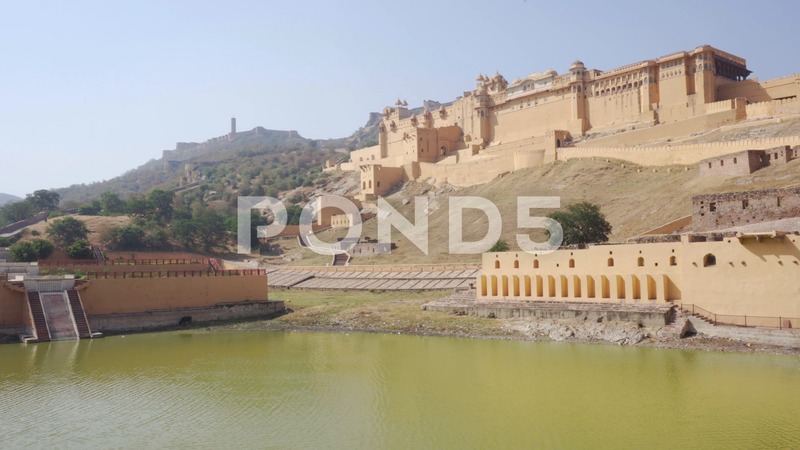 Description: View of the Amer Fort and Palace (Amber Fort) and the Maota Lake in Jaipur, India. The Jaigarh Fort is visible on Aravalli Hill in background. Jaipur is a popular tourist destination of South Asia.